It is with a heavy heart that I inform you of the passing of our Columbus Base shipmate John Palmer. John qualified in 1951 aboard USS Guavina SS-362, and also served aboard USS Requin SS-481. He was a Life Member of USSVI National and Columbus Base, and was inducted into the Holland Club in 2010. The bereaved family of John R. Palmer is saddened to announce his passing on March 23, 2019. John was preceded in death by his parents Gladys and Robert Palmer and daughter Kimberly Palmer. John is survived by his wife, Gerri; his daughters Candace (Mark) Steele and Pamela (Mark) Schwab and their daughter Marlaina; step-children Kevin (Beth) Nasal and Noelle (Shawn) Adams and their daughters Avery and Emerson. The family acknowledges with grateful thanks: Dr. Douglas Scharre and the staff of Forest Hills Center, especially Eric Brown, Bella Care Hospice and Pastor Richard Birk of Redeemer United Methodist Church. Family will receive friends from 2-3pm Sunday, March 31, 2019 at SCHOEDINGER NORTHEAST CHAPEL, 1051 E. Johnstown Rd., Gahanna, OH 43230 where a memorial service will follow at 3pm. The family requests NO FLOWERS please. Visit www.schoedinger.com for complete obituary and to extend condolences. where a memorial service will follow at 3pm. The family requests NO FLOWERS please. John will be remembered and memorialized at the Columbus Base Tolling Ceremonies. Columbus Base will donate $100.00 to the USSVI Scholarship Fund in John's memory. Fair winds and following seas, shipmate. It is with a heavy heart that I inform you of the passing of our Columbus Base shipmate Bruce Rinehart. Bruce qualified in 1963 aboard USS Tigrone SS-419, and also served aboard USS Crevalle SS-291. He was a a Life Member of USSVI National and Columbus Base, and was inducted into the Holland Club in 2013. Bruce McClellan Rinehart passed away at 2:35 PM on Wednesday, March 13, 2019 at Lima Convalescent Home with his family by his side. He was born on May 28, 1942 in Lima to Regina and Robert Rinehart, who both preceded him in death. On September 2, 1961, he married his first wife Josephine Sylvia Ball. They had three sons, Matthew, Matthias and Michael Rinehart. Then on October 17, 1981, he married his second wife Judith C. Gilbert, who preceded him in death on January 24, 2019. Bruce graduated from St. Joe High School, Wapakoneta in 1960. He retired from RMF Industrial Contracting. Prior to RMF, Bruce worked for Tilton Corporation as vice-president of services. He was a member of LU776, an American Red Cross instructor, a former member of the Bath Fire Department and Rescue Squad. Bruce was a former president of the Society of Safety Engineers and was a former member of the Lima Area Safety Council. He was a charter member of Registered EMT's. He was a member of the Shawnee United Methodist and a former member of its board. He was a former 3rd degree member of the Knights of Columbus. He proudly served his country in the US Navy and was a dolphin holder in the submarine service. He is survived by his three sons Matt (Robin) Rinehart, Matthias (Kindra) Rinehart and Michael (Lora) Rinehart, all of Lima; his three step-daughters Linne Gilbert of Findlay, Lori (Rene) Campos of San Antonio, TX and Jody (Joe) Pinkerton of Dublin; his thirteen grandchildren; his brothers Bret (Karen) Rinehart of Minneapolis, MN and Mark Rinehart of Wapakoneta; his sisters Beverly Duff of Celina and Bonita Rinehart. The family will receive friends from 3:00 PM to 7:00 PM on Tuesday, March 19, 2019 at CHILES-LAMAN FUNERAL & CREMATION SERVICES, SHAWNEE CHAPEL, Lima, OH 45805 (419) 228-5474. Funeral services will be held at 11:00 AM on Wednesday, March 20, 2019 at Shawnee United Methodist Church, 2600 Zurmehly Road, Lima, with Rev. Bryan Bucher officiating. The family will also receive friends from 10:00 AM until the time of the service at the church. Interment will immediately follow the service in Memorial Park Cemetery, where VFW Post 1275 and active duty members of the US Navy will conduct military graveside services. Memorial contributions may be made to Lima Convalescent Home. Bruce will be remembered and memorialized at the Columbus Base Tolling Ceremonies. Columbus Base will donate $100.00 to the USSVI Scholarship Fund in Bruce's memory. Fair winds and following seas, shipmate. 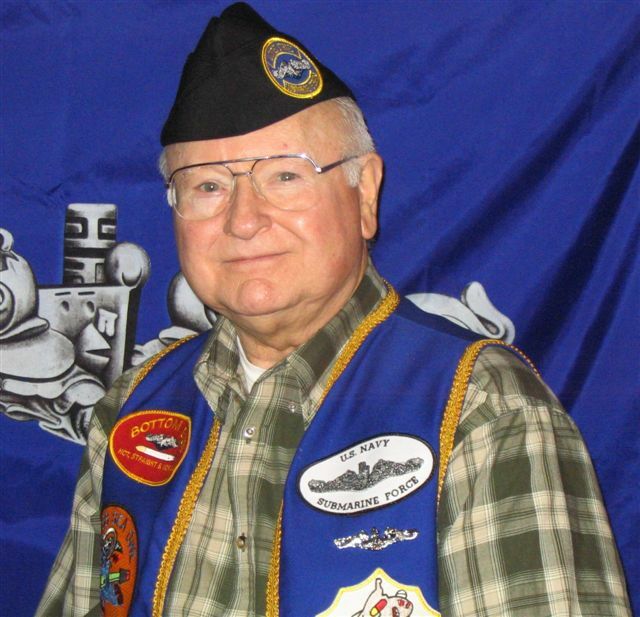 It is with a heavy heart that I inform you of the passing of our Columbus Base shipmate Bob Wells. Bob was a WWII Navy veteran and qualified in 1947 aboard USS Capitaine SS-336. He joined USSVI in 2008, was a Life Member of USSVI National and Columbus Base, and was inducted into the Holland Club in 2008. Robert Lloyd Wells, age 91, of Wellston, passed away Thursday, January 3, 2019 at Adena Regional Medical Center in Chillicothe, Ohio. He was born October 5, 1927 in Gallipolis, Ohio to the late Harley Wells and Helen Lloyd Wells. Bob was a 1945 graduate of Central High School in Columbus. He was a WW II Veteran of the United States Navy, where he served proudly as a Seaman 1st Class Submariner on the USS Capitaine. Bob was a former lumber inspector for various companies throughout his working career. He was an active and dedicated member of Sts. Peter and Paul Catholic Church in Wellston as well as the Knights of Columbus. Bob was a conversationalist who delighted in visiting with people and sharing life stories. He enjoyed fishing, gardening and being a volunteer fireman in McArthur for several years. Bob was an avid Cincinnati Reds fan who, along with his wife, Sue, worked at the Red's spring training in Sarasota Florida for several years. Always willing to volunteer, Bob and Sue volunteered at the 1996 Olympics in Atlanta, the Columbus Arts Festival and the Paul Bunyan Show, to name a few. He is survived by his wife, Suzanne E. Kronauge Oths Wells; "children", Michael Oths (Susan Burke) of Boise, Idaho, Dr. Kathryn Oths (Dr. William Dressler) of Tuscaloosa, Alabama, Christine "Cricket" Masson (Mark) of Germantown, Maryland, Jennifer Martindill (Greg) of Danville, Illinois, and Amy Montgomery (Eric) of Xenia, Ohio; sisters, Charlene "Jo" Pruden of Oklahoma and Eileen Wolff (Dr. Bill Wolff) of Missouri; sister-in-law, Mary Wells of Gahanna, Ohio, along with 9 grandchildren and 1 great-grandchild. Besides his parents, Bob was preceded in death by his first wife, Dorothy Scokel Wells; and his brother, Merill Wells. Calling hours will be Friday, January 11, 2019, from 6 to 8 P.M. at the McWilliams Funeral Home in Wellston, where rosary will be recited at 8 P.M.
Mass of Christian Burial will be Saturday, January 12, 2019, at 11 A.M. at the Sts. Peter and Paul Catholic Church in Wellston with Father Nic Ventura officiating. Private burial for the family will follow in the Mt. Calvary Cemetery. In lieu of flowers, the family would appreciate contributions in Bob's memory be given to the Sts. Peter and Paul Catholic School, 227 South New York Avenue, Wellston, Ohio 45692 or Habitat for Humanity, 322 West Lamar Street, Americus, Georgia 31709-3543. Online condolences can be sent to the family at www.mcwilliams-funeralhome.com. Bob will be remembered and memorialized at the Columbus Base Tolling Ceremonies. Columbus Base will donate $100.00 to the USSVI Scholarship Fund in Bob's memory. Fair winds and following seas, shipmate. Sailor, Rest Your Oar. Columbus Base held its annual Christmas and Awards Dinner on 1 December 2018. Four member were inducted into the Holland Club: Tim Barker, Bill Foreman, Jim Koogler, and John Wegman. This years toy collection was for "Toys for Tots". Photos of this event are in the photo album and can be viewed by clicking either the thumbnails in this article or the "Photo Gallery" entry in the main menu on left side of page. It's with a truly heavy heart that I inform you that our shipmate Lee Mather departed on Eternal Patrol. Lee qualified in 1954 aboard USS Crevalle SS-291, and also served aboard USS Sea Robin SS-407. He joined USSVI in 2007, was a Life Member of USSVI National and Columbus Base, and was inducted into the Holland Club in 2011. Per Lee's wishes, there will not be a memorial service... but he will certainly be remembered and memorialized at the Columbus Base Tolling Ceremonies. Columbus Base will donate $100.00 to the USSVI Scholarship Fund in Lee's memory. It's with a truly heavy heart that I inform you that our shipmate John Leers departed on Eternal Patrol. John Leers 91, of Reynoldsburg, passed away October 3 2018. John was a Member of St. Pius X church; retired from the Navy after 30 years of service YNCS SS). After retirement from the Navy, John became a Naval Science instructor in the Navy Junior ROTC program at Franklin Heights High School. He retired after 22 Years of service. 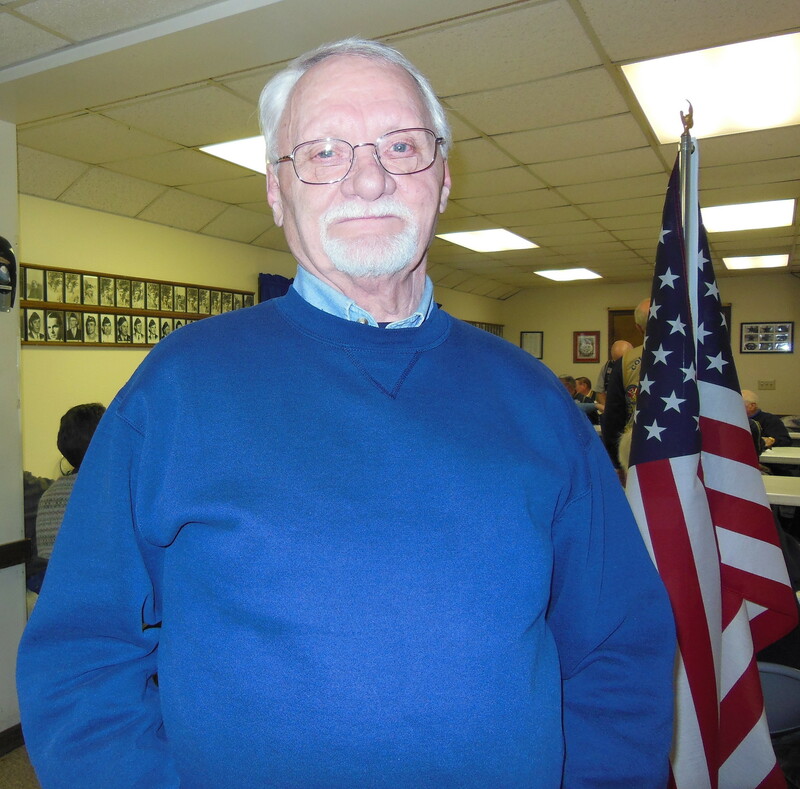 John is a life member of the United States Submarine Veterans, both the local Columbus Base and the national organization where he is a member of USSVI Holland Club. He was preceded in death by his wife Lorraine. Survived by his children; Mike (Cindy) Leers, Jean (Larry) Wolery, Nancy Leers. 4 grandchildren, 7 great grandchildren. Funeral Mass 1PM Thursday 15th November at St. Pius X Church 1051 S. Waggoner Rd, Reynoldsburg. Entombment to follow at Forest Lawn Memorial Gardens. A gathering will held at McNeil party house after the services. 7460 Lady Kirk Dr. Blacklick, Ohio 43004. It's with a truly heavy heart that I inform you that our shipmate Don Crinkey departed on Eternal Patrol. If you didn't attend our monthly base meetings or some of our dinners, you probably didn't know our shipmate Don Crinkey. He RARELY missed a monthly base meeting, coming from Springfield with his good friend and shipmate Bob Frier . In his words, he “loved the brotherhood and camaraderie of the submarine service and being with the Columbus Base shipmates”. Don didn't qualify in submarines. He served in the US Navy in the late 1950's and was a ground crew member of the Blue Angels flight teams. But dolphins or not, Don was a submariner at heart... in deed, in action, in his unselfishness, in the way he treated his submarine brothers, in the way he treated everyone. While on vacation in New England some years back, Don came across a brass bell. He immediately thought of the Columbus Base ritual of ringing the bell for lost boats at our monthly base meetings, bought the bell, and donated it to the base. At one of our monthly base meetings, there was no flag to honor with the Pledge of Allegiance. Don bought a flag and staff and donated it to the base… he and Bob Frier keeping it in Springfield and bringing it to the base meetings every month. Both the bell and flag are used at every meeting. Columbus Base was proud to honor Don. We bestowed an Honorary Membership in 2005, “ in recognition of his continuous support of Columbus Base, and his profound interest in submarine and veterans’ issues”. Don also received at least one Certificate of Appreciation for his contributions..
Don Crinkey wasn't a submariner... at least not from the point of serving and qualifying on submarines. But he was as much a submariner as any I ever met. And I’ll miss him..
CRINKEY, Donald Eugene Age 80, of Springfield passed away June 13,2018. He was bom January 8, 1938, in Steubenville, Ohio, to Lawrence Donald Crinkey and Margaret (Somerville) Crinkey. Don was a 1956 graduate of Springfield High School. He was a veteran of the U.S. Navy, serving for 2 years with the Blue Angels. He retired from Navistar in 1993 and was a member of several Masonic and service organizations. Don is survived by his wife of 55 years, Elizabeth Kay (Circle) Crinkey; one daughter, Jennifer Lynn (David) Heflin; one grandson, William F. Heflin, all of Amelia, OH; one sister-in-law, Deborah Crinkey of Springfield. He is preceded in death by his parents, and one brother, Keith Edwin Crinkey. The family wishes to thank Hospice of Dayton and Dr. Filix Kencana of the Springfield Regional Cancer Center. In lieu of flowers, donations can be made to Hospice of Dayton, 324 Wilmington Ave., Dayton, OH 45420, or the Springfield Regional Cancer Center. Visitation will be Sunday from 2 4 PM. in RICHARDS, RAFF & DUNBAR MEMORIAL HOME, 838 East High St. Private services will be held at the convenience of the family. Expressions of sympathy may be made at www.richardsraffanddunbar.com. Photos from the November Meeting have been uploaded to our Flickr account. They are available via the "Photo Gallery" button in the Menu on the left hand side of this page. Meeting Minutes are Posted. It is with a heavy heart that I inform you of the passing of our shipmate Patrick Mushill, ET1(SS). He departed on eternal patrol Friday, October 6, 2017, in Pickerington, Ohio after a long battle with ocular melanoma. Patrick was born on January 13, 1963 in Granite City, IL. He was a "nuke" and qualified on the USS Woodrow Wilson (SSBN-624) in 1985. He also served on the USS Seahorse (SSN-669). Visitation will be held on Saturday October 21, 2017 from 12-2 PM at Newcomer Funeral Home, SW Chapel, 3393 Broadway, Grove City, OH 43123 where a memorial service will be held at 2 PM. Submariners are encouraged to wear their vests. We will miss you, Patrick. Sailor, Rest Your Oar. Capt. Morin was born in Rochester, NH, the son of the late Albert T. and Barbara E.Morin and was a graduate of Spaulding High school and George Washington University. Capt. Morin enlisted in November of 1948 and served on continuous active duty for over 38 years. While enlisted he qualified in Submarines, both diesel and nuclear. He was commissioned in the Medical Service Corps on 5 November 1961. He also served on the USS Pickaway (APA-222), USS Raton (SSR-270) and the USS Fulton (AS-11) and on many shore duty stations including Cairo Egypt and Rota Spain. He retired from the Navy on 30 June 1987. His military decorations include the Legion of Merit, the Navy Commendation Medal with two Gold Stars, Navy Unit Commendation Good Conduct Medal with two Gold Stars,The Navy Expeditionary Medal, The China Service Medal, the National Defense Medal with Gold Star, the Korean Service Medal and the United Nations Medal. . He was a member of the USS Seadragon during its historic "NorthWest passage to the North Pole" and then Pearl Harbor, Hawaii. For over twenty years after his retirement from the U.S. Navy he was an active volunteer for the Naval Academy Sailing Squadron. In 2016 he was named to the Intercollegiate Hall of Fame and was recognized with a Life Time Service award. He was also active in several homeowners associations and community organizations. His loving and devoted wife of 47 years , Joan Shirley Morin, died in 2013. He is survived by his brother Roger F. Morin, his sons Glenn E. Morin, Gary E. Morin and Albert T. Morin II, and their respective spouses Dr. Robin Spitko, Mrs. Bobbie Morin, Mrs. Nancy Morin and his Grandchildren, Christopher Morin, Emily Morin, Adam Morin, Isaac Morin, Cody Morin and Chayla Morin.. Relatives and friends may call on Friday, September 29 from 4-8 PM at Hardesty Funeral Home, 12 Ridgely Avenue, Annapolis. There will be a funeral service on Saturday, September 30 at 10:30am, at St. Margaret's Church, 1601 Pleasant Plains Road, Annapolis MD. Reception to follow at the church. Capt. Morin will be buried in Arlington National Cemetery at a date to be announced. In lieu of flowers donations to The American Cancer Society are requested..
As is our custom, Columbus Base will make a $100.00 donation to the USSVI Scholarship Fund in Richard Morins memory..
We will miss you, Richard. We're proud to have known you and been your shipmates..